Black Forest granite is a dark grey to black gneiss with white decoration of the Precambrian period with lots of waves. This stone internationally may be nominated as a granite but in the area of application of the European Standard this stone must be nominated as a gneiss. During the polishing process a clear epoxy resin filler may be used to fill any micro fissures or tiny pitting however this does not affect the integrity of the stone, it merely provides an even smoother surface finish. Black Forest Granite is suitable for both interior and exterior use futhermore is frost resistant and with a constant polish. 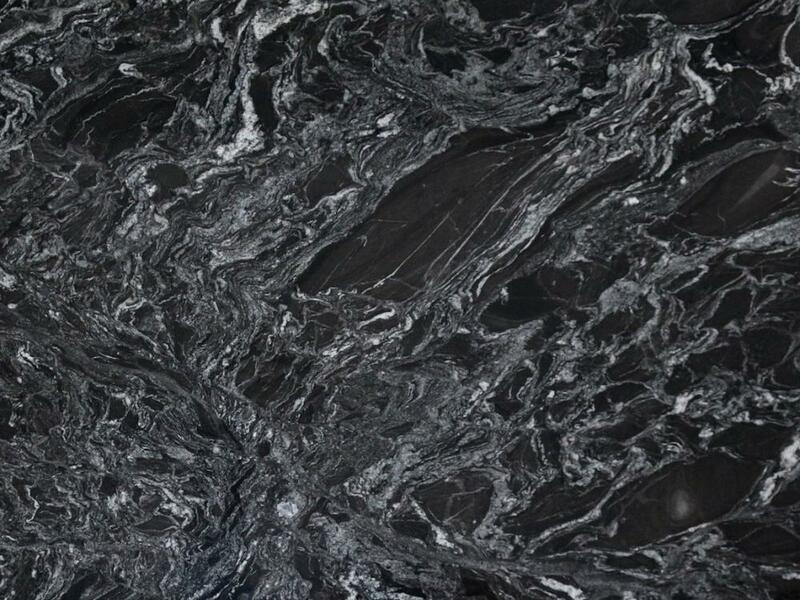 Black Forest Granite looks best with a gloss polished surface but is also available as honed, leather/satin, river-washed/antique, thermal/flamed, flamed & brushed, water-jet, bush-hammered, sandblast and sawn finish. Test with a small sample. It is possible that a sealant can be used on Black Forest Granite however excessive attempts at sealing it could actually create a residue film build-up. Black Forest granite is quarried near Chittor, Andhra Pradesh, India. 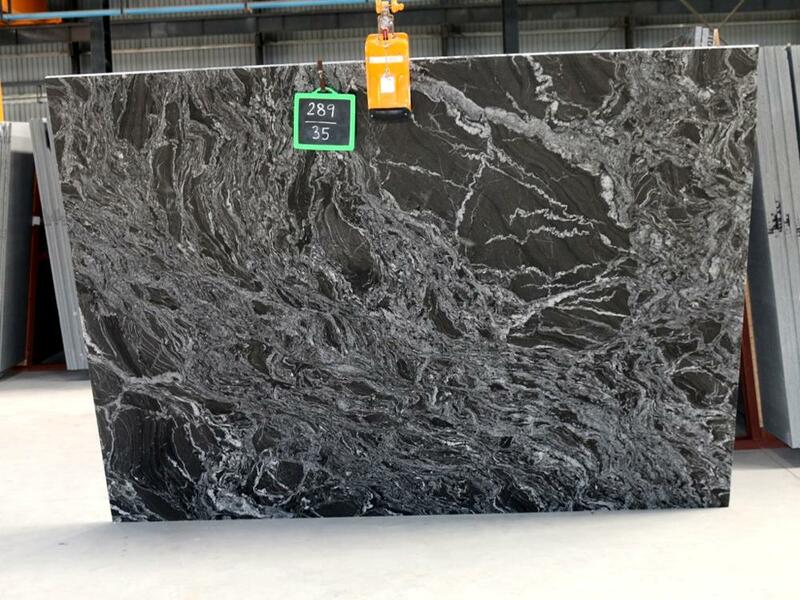 There are three different quarries of Black Forest granite, the veining and colour varies considerably and a small sample is not representative of the whole block or slabs. Lesser qualities have quartz bands. 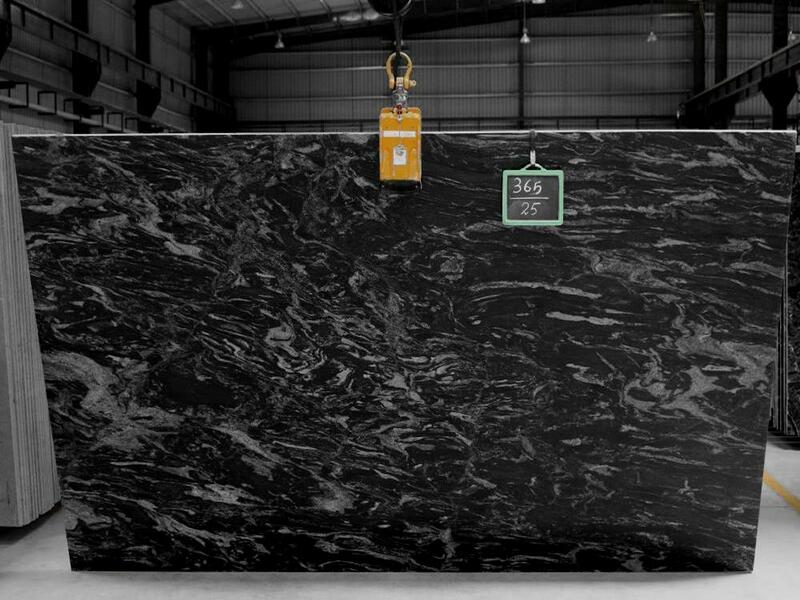 Black Forest granite slabs are available in standard 20mm and 30mm thickness for random slabs, cut-to-size (dimensioned) slabs and prefabricated countertops to the customer's specifications, 40mm thick slabs are produced but are not usually held in stock for immediate despatch. Black Forest granite Premium & Commercial quality calibrated, bevelled & grooved matching granite tiles. These are medium-sized granite quarries yielding selectable, grades of granite with blocks suitable for gangsaw size down to economical tile-sized and monument blocks. Extraction commenced in the early 2000s. For commercial projects it is important to ensure that blocks are selected from the same quarry face.